Proficiency in English, one of the fastest internet connections in Europe, intelligent workforce, EU location, strong contract enforcement, high ratings in the ease of doing business, triple deduction of R&D costs, and commitment from the government to further improving business conditions are the factors that make Lithuania attractive both for startups or established companies looking for IT outsourcing or BPO location (no wonder Uber opened a development center there:). 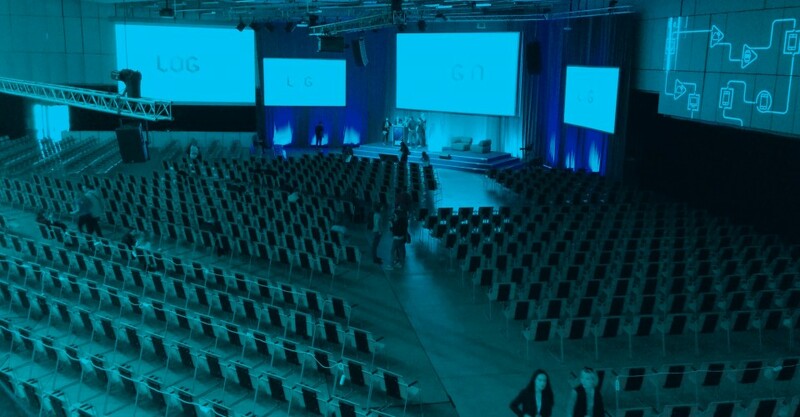 In May, I attended the largest tech event in Lithuania, LOGIN conference, organized by Startup Lithuania, and it was a good opportunity to get a larger and deeper picture of the Lithuanian startup scene. One of the first speeches, delivered bythe Director of the Lithuanian VC Association Inga Miliauskiene, included a wealth of data about the state of the startup ecosystem in the country, so thanks to Inga this post will contain some interesting figures. I’m also very grateful to Donatas Keras, co-founder and partner at Practica Capital, for the insights he shared with GoalEurope. Lithuania has a population of less than 3 million people, with Vilnius having 535,000 inhabitants and Kaunas around 308,000. The country accessed the EU in 2004 and introduced the Euro in January 2015. Officially, the average net salary is at €585, and according to my own “taxi driver index” (which I tend to rely on to have a more balanced view on the level of living), it’s around €300. Services generate more than 70% of the Lithuanian GDP, and the ICT is the leading subsector employing between 25,000-35,000 people. Lithuania has one of the highest emigration rates in Europe, and joining the EU has greatly contributed to the trend. About half of the emigrants are young people of 20-29 years old. In 2014, 36.6 thousand people left the country, but in the past couple of years, more people were willing to come back, especially those in the IT industry. The fact that global players like Barclays Group, Western Union, IBM opened shared service centers (SSC) and BPO offices played an important role in keeping (and attracting back) educated workforce. In 2015 Lithuania counted 60 SSCs employing around 13,000 professionals, mostly in the capital and in Kaunas. 50 shades of green. Image credit. In our conversation, Donatas told me that out of 30 Lithuanian startups that first had chosen to relocate to the US or the UK, three moved back to Lithuania, including such successful companies Trafi and TransferGo. And the reasons are simple: Vilnius a compact (you can reach any point in under 40 minutes), green (see the proof? ), very well connected to other European cities thanks to the low-cost airport located in a 7 minutes train ride. And last, but not least, it has smart and affordable tech talent, and more is expected to come from Belarus, Ukraine and Russia thanks to the adoption of startup visas and reforms in the Blue Card procedures, aimed at facilitating the process of getting residence and work permits for innovative teams from non-EU countries. The new law implies that startups will be able to receive work permits for one year with possible extension for another year. After these two years expire, the head of the company or shareholders are eligible to apply for a temporary residence permit. More importantly, startups will be exempt from the “rule of three”, a requirement that the company employed at least three Lithuanians or permanent residents, which was quite frustrating for startups. According to the VCA, Lithuania counts 422 startups that employ 2,466 people. The leading sectors include Productivity and Collaboration tools, E-commerce, Gaming, Hardware and SaaS solutions. Other strong and innovative sectors are medtech, biotech and life sciences, semiconductors, and we spotted around 20 companies in lasers and physics. One of the most comprehensive roster of Lithuanian startups, as well as other ecosystem players, can be found on Startup Lithuania website. The government of Vilnius, together with other stakeholders, initiated a project called TechMap Vilnius aimed at showcasing local startups by category, their aggregated revenue and raised funding. As the city authorities are quite cooperative, Vilnius is a great place to develop and test smart city project concepts. So did TRAFI (accurate public transport app), PlaceIlive (platform for ranking city neighborhoods), RottenWiFi (wi-fi watchdog), mCity (software solutions for parking and public transport ticketing). Obviously, it’s for a reason that in 2014 CNN included Vilnius in its TOP 10 list of “Smart Cities” around the world. Lithuania has an important game development expertise, with around 50 companies operating in this sector. Recently Lithuania has been specifically promoting itself as a destination for gamedev startups, attracting teams and ideas from neighboring non-EU countries. In a comment to GoalEurope, Donatas Keras from Practica Capital said that “Game development and the whole gaming scene in Russia, Ukraine and Belarus is very big and active. And those companies who are going after global market, usually consider the Baltics as a very attractive location for many reasons, like EU location, high-quality human resources, geopolitical stability.” Just to name a handful gamedev companies that chose to relocate to Lithuania in the past couple of years: Game Insight, JetCat Games, Melior Games, Alternativa Platform, Flazm, Game Show. Number of Lithuanian startups by sector and number of employees. Slide courtesy of Inga Miliauskiene. Lithuania is doing quite great in terms of the number of startups with funding rounds. In 2015 alone, 68 startups raised money, while the deal flow in Estonia counted 28 deals, in Latvia – 38. It also treads upon the heels of Estonia in the nu,ber of startups, with 489 in Estonia and 438 in Lithuania. However, the number of startups per 100,000 inhabitants – 37,3 – is two times higher in Estonia. Throughout 2007-2016, Lithuanian startups raised more than €165M in 181 deals, 19 of which were made in 2013, 48 in 2014 and 56 in 2015. The venture scene is dominated by foreign firms, which provided over 77% of the funding. Most active are Octopus Ventures, Accel Partners, imi, General Catalyst Partners, Kima Ventures, Insight Venture Partners, Karma Ventures, and the European Bank for Reconstruction and Development (EBRD). Number of deals in Lithuania, Latvia and Estonia. Slide courtesy of Inga Miliauskiene. Private equity and venture capital investments in Lithuania started back in the 90s, but the increase in dealflow owes to the availability of funding via the JEREMIE ((Joint European Resources for Micro to Medium Enterprises) program in Lithuania since 2010. This EU initiative is financed from the EU Structural Funds and is managed by the European Investment Fund (EIF). It aims at supporting the development of local SMEs, and startups, in particular, via contributing 70-100% of capital to the local managing funds. JEREMIE funds are administered by the following funds: Lithuania SME Fund (€20M), LitCapital I (€25M), Business Angels Fund (€8.42M), Practica Seed Capital (€6 M), Practica Venture Capital (€15.7 mln). These funds are managing €80M in total capital available to Lithuanian SMEs. There are also two private venture capital funds – Nextury Ventures (established by Ilja Laurs who exited GetJar, read below) and Ltk Capital (an investor in FoodOut delivery platform). Lithuania has two accelerators: StartupHighway, one of the largest in Eastern Europe and it also operates as an early stage fund, and Startup.lt run by Practica Capital. Each year more the country hosts more than a 100 various meetups, hackathons, master classes and other initiatives to help the startups. The largest startup exit in Lithuania so far is GetJar, the largest independent cross-platform app store. In 2014, it was acquired by Sungy Mobile Limited, the China-based developer of GO Launcher EX, a platform that sits on top of Android OS in smartphones, for an alleged $35M in cash and stock options (around 86%). Back in 2012 GoalEurope had a great coverage of GetJar’s story, which started as an outsourcing business for custom mobile software development. YPlan ($37.7M), an event discovery and booking mobile app platform with more than 1.5M users. TRAFI ($7M), the most accurate transportation app, with more than 1M users in 8 countries. Recently it got the status of the official transport app for RIO 2016 Olympics and launched in two cities in India. TransferGo ($2.71M), a digital remittance solution for fast and cheap money transfers and a competitor of the Estonian TransferWise, which became a Unicorn last month. With offices in London and in Vilnius, TransferGo is available in 39 countries has more than 100,000 users and 40 employees (compare to around 600 in TransferWise:)). CGTrader, backed by Intel Capital and Practica Capital, is a marketplace for 3D models for computer graphics, VR & 3D printing. Actually, just a couple of weeks ago they reached a 500K users milestone, which made them the largest marketplace of this kind. NanoAvionics, supported by Practica Capital, is an aerospace technologies company providing small satellite solutions and services, and they are preparing to launch the second satellite this year. The team is currently developing a miniaturized propulsion system, which will operate with non-toxic Ammonium Dinitramide (ADN) based mono-propellant. NanoAvionics is seeking a €2.5M investment from the EU Framework Programme for Research and Innovation Horizon 2020. Upon implementation of the plans, Lithuanians will become the first in the world to use their system in nano-satellites. JetCat Games is a game development company in Practica Capital’s portfolio, and the team moved to Vilnius from Belarus. Their first game, Heliborne, sold more than 10k copies in the first months of early release. WebRobots, a Big Data startup, develops innovative web crawling technologies, received a €250K investment from Practica Capital. Check out their sample projects, including datasets from Kickstarter and Indiegogo. Planner 5D, backed by imi VC, is an online service for creating beautiful interior designs without any special skills required. They have around 4 million users and, reportedly, raised $2m in Series A. By the way, the founders Alexey Sheremetyev and Sergey Nosyrev relocated to Vilnius from Moscow. FATMAP, the winner of the LOGIN 2016 startup competition, creates interactive, high-resolution 3D maps and mapping platform for mountain sports, such as hiking, skiing and biking. the social aspect and the local knowledge. They raised a £1m round from high-profile angel investors. To an extent, thanks to the presence of service centers by Barclays, Western Union and NASDAQ, employing a total of around 2,400 employees, a strong expertise in finance has been accumulating in Lithuania. As a result, we see a number of FinTech startups, including TransferGo, Invoice Pool, Savy, Paysera, Funderbeam, Etronika, Manu, WoraPay. In 2015, WoraPay, a universal remote mobile payment platform that connects any mobile wallets with merchants, went through the acceleration in Startupbootcamp FinTech London and was named one of the hottest FinTech businesses in Europe. It is clear that the Lithuanian startup scene will become a world-famous actor, and here the law of large numbers come to play. The more Lithuanians dare to go after their business ideas, the higher its chances of raising the next Unicorn are. But the current problem in the ecosystem is that there are very few business angels and VCs ready to invest in startups at the initial riskiest stages. And, as Donatas Keras believes, they need the implementation of a Seed enterprise investment scheme, just like in the UK, that introduce tax deductions to encourage investors to support early stage startups.